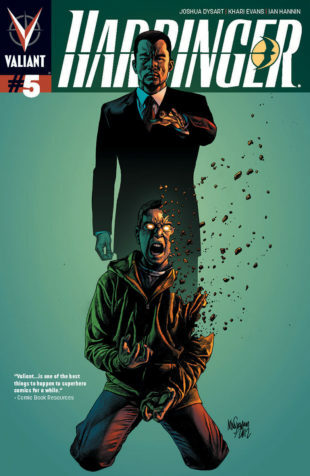 Valiant is proud to present an advance preview of Harbinger #5, from New York Times best-selling author Joshua Dysart and Harvey Award nominee Khari Evans! 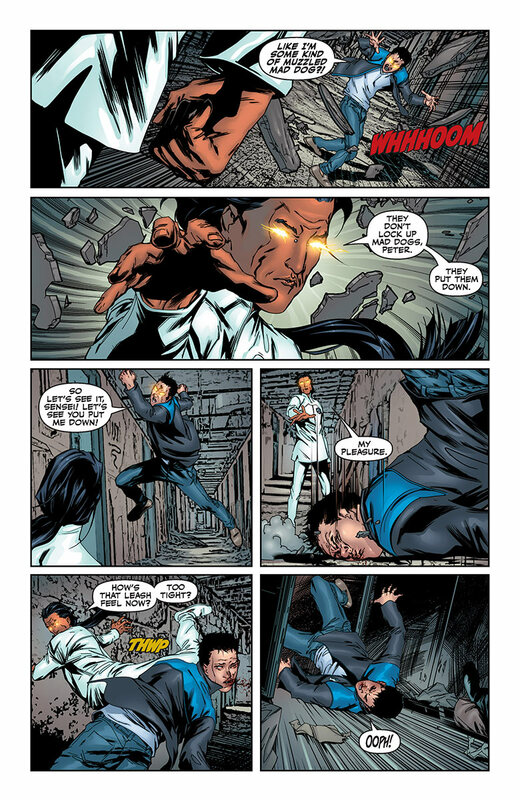 The first storyline of one of the year’s most acclaimed series concludes with a bone-breaking, psyche-smashing battle for the fate of the Valiant Universe on October 17th! It has all led to this. 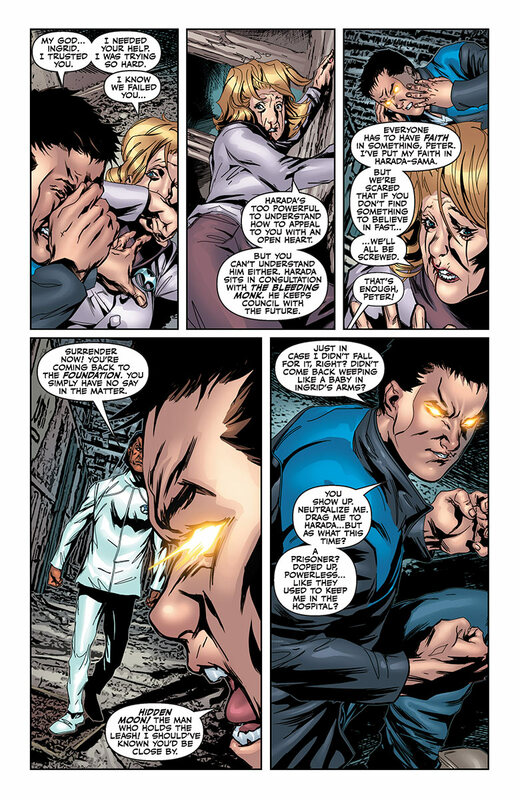 Peter Stanchek tried find peace within the Harbinger Foundation, but instead has found the ultimate betrayal. In their crusade to control Peter’s untold power, the foundation’s psychic shock troops have spilled innocent blood. 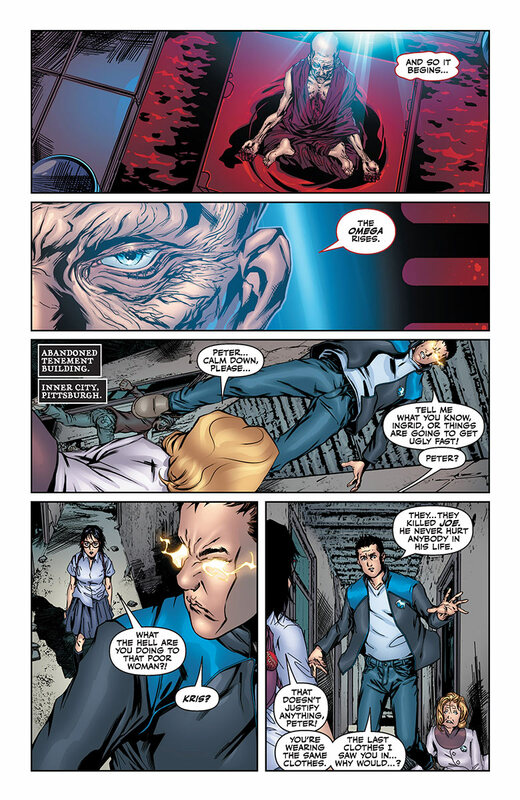 Now Peter will unleash his full potential against their leader and the most powerful harbinger of all, Toyo Harada. Will this unavoidable collision transform Peter into a great destroyer – or will he be the tempest that finally topples Harada’s dominion over the human race? Alpha and omega. Teacher and student. Hero and villain. On October 17th, the boy who has nothing will go to war against the man who has everything. 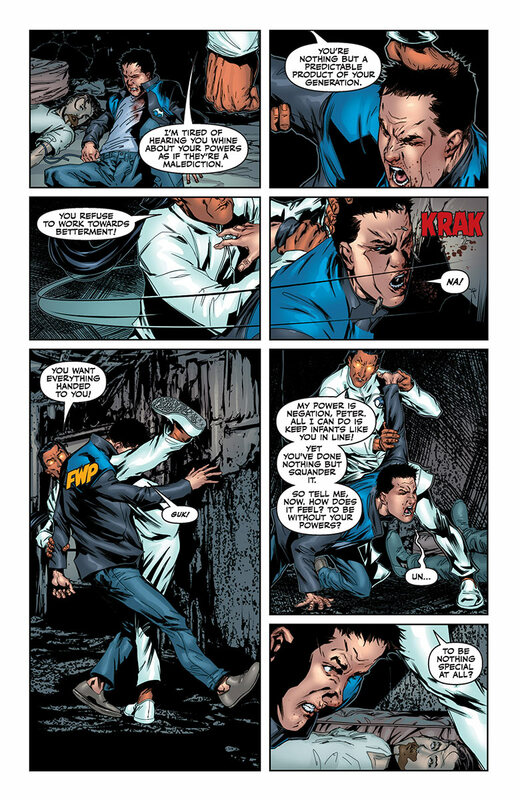 And soon the Valiant Universe will discover that everything must end – even the world. 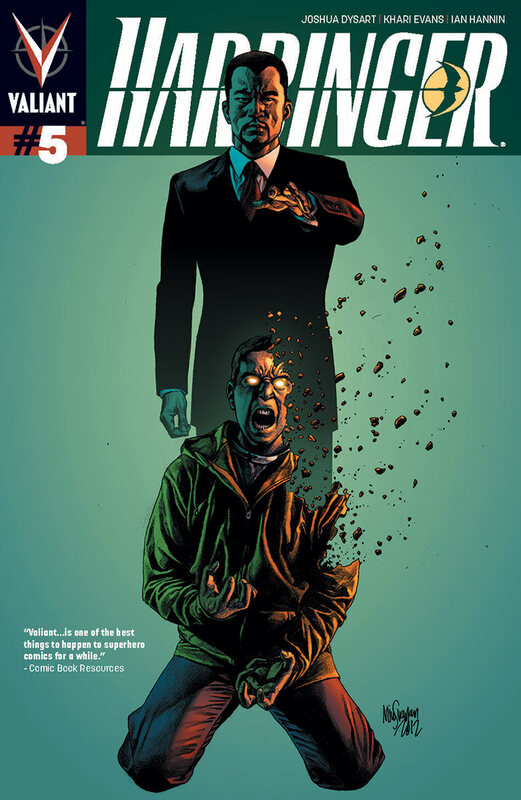 Steady yourself for the cataclysmic battle of Peter Stanchek and Toyo Harada in Harbinger #5 – in stores the same day as X-O Manowar #6! 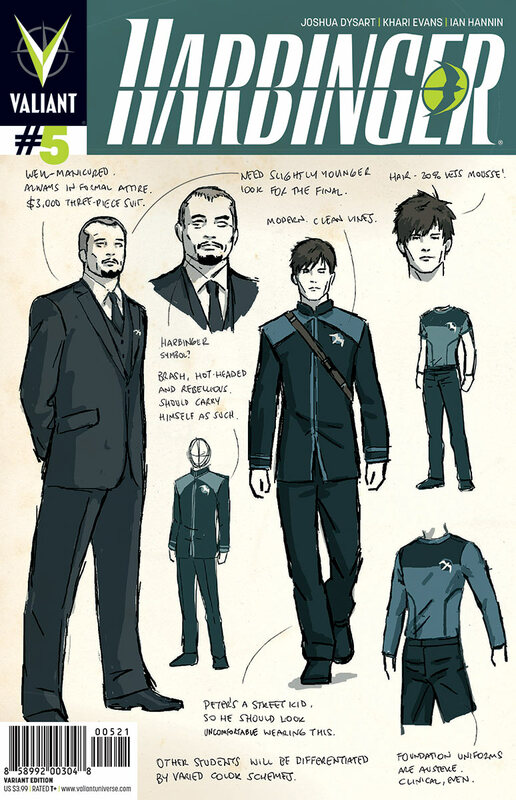 And go behind the process that revamped and re-envisioned Valiant’s greatest heroes for a new generation with the Harbinger #5 Character Design Cover, featuring exclusive art and design work by comics visionary David Aja (Hawkeye, Immortal Iron Fist).